Next on The Scoop: Can Moving to a New State — and a New Environment — Change Your Cat’s Identity? 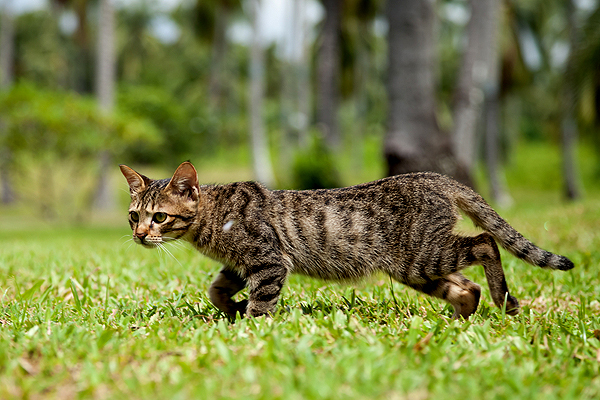 Ask a Vet: What Makes Some Cats Uncoordinated and Prone to Staggering? It's called cerebellar hypoplasia -- and fortunately, most affected cats can live full, happy lives. Over the years I have worked with many cats who suffered — although suffer is really too strong a word — with cerebellar hypoplasia. People often ask me about this condition with the mysterious name. The cerebellum is a portion of the brain that controls coordination. It plays a role in balance and in the proper placement of the limbs during walking. It helps the body to recognize its location in relation to objects in space. Hypoplasia means under-development. So, as the name would suggest, cats with cerebellar hypoplasia have under-developed cerebella (that’s the plural for cerebellum). Because they cannot accurately identify the locations of their feet in relation to the environment as they walk, cats with cerebellar hypoplasia are prone to over-reaching as they step, leading to an exaggerated (also known as hypermetric) gait. They have poor balance, so they are prone to falling and stumbling. Their poor balance may cause them to misjudge distances when jumping, and they may fall off of objects when walking adjacent to ledges. Their difficulty in judging distances makes eating slightly challenging, but nowhere near impossible. They often exhibit head tremors (called intention tremors) when at the food bowl, or when reaching for toys or other objects with their mouths. The video below (from a recent Dogster post by Chris Hall) shows a kitten with cerebellar hypoplasia who was befriended by a dog. In short, cats with cerebellar hypoplasia are not graceful. But they definitely are cute. And the good news is that although they may seem challenged in life, with proper care the overwhelming majority of cats with cerebellar hypoplasia are able to lead rich, full, and happy lives. More on that in a moment. What causes cerebellar hypoplasia? Most cases are so-called idiopathic cases, in which the cerebellum does not develop in a normal fashion for causes unknown. Other cases are caused by in utero or by neonatal infection with feline panleukopenia virus. The panleukopenia virus, which is a type of parvovirus, targets rapidly dividing cells. Cats who suffer infection when their cerebella are developing (and therefore have rapidly dividing cells) are prone to the condition if they survive the infection. This cause of cerebellar hypoplasia has become less common due to widespread vaccination against feline panleukopenia virus. However, speaking of those vaccines: They must be used judiciously in pregnant cats. There have been reports of kittens developing cerebellar hypoplasia after their mothers have been vaccinated with specific types of feline panleukopenia vaccines (modified live virus vaccines) during pregnancy. Cerebellar hypoplasia usually first becomes evident as kittens begin to walk. In some kittens, symptoms aren’t noticed by the owners until eight to 10 weeks of age (all kittens are clumsy when very young, but those with cerebellar hypoplasia don’t grow out of it). Other, more serious conditions can initially be confused with cerebellar hypoplasia. However, kittens with the more serious conditions develop progressive symptoms, which may ultimately lead to fatal outcomes. With cerebellar hypoplasia, the symptoms do not progress, and the prognosis is good. And that is the key thing. Cerebellar hypoplasia is uncurable and untreatable. However, that doesn’t matter for most cats with the condition. Although cats with cerebellar hypoplasia cannot lead stereotypically normal lives — for instance, part of being a normal cat generally involves fine balance and graceful movement — they almost always lead good lives as long as a few ground rules are followed. The most important of those rules is that cats with cerebellar hypoplasia should be kept indoors unless they are directly supervised. Their lack of coordination makes them very susceptible to stranding, injuries, accidents, predation, and attacks by other animals. Some cats with cerebellar hypoplasia have special litter-box needs. They may have trouble navigating their way into some litter boxes (think of the enclosed ones with high entry thresholds), and so some experimentation may be necessary to find a box that works. 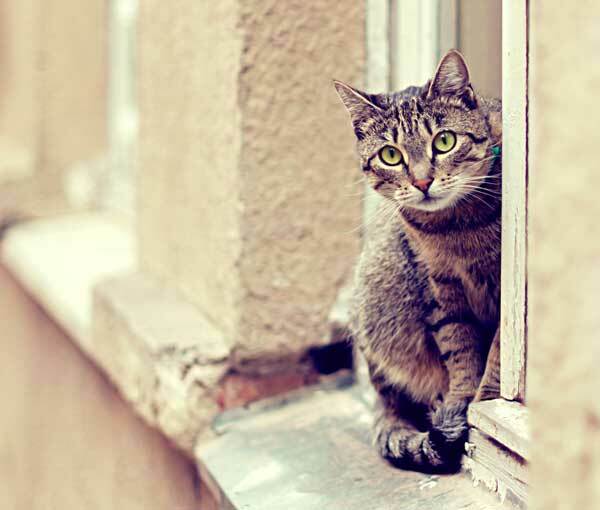 Precautions are sometimes necessary for affected cats even when they are kept indoors. For instance, steep stairs without effective railings may create a risk of trauma. However, with a bit of ingenuity, most owners of cats with the condition are able to come up with solutions to such problems. Finally, be aware that cats with cerebellar hypoplasia have a remarkable tendency to be devastatingly cute. Their lack of coordination makes them seem forever kitten-like to the humans who know them. If you end up with a cat who has cerebellar hypoplasia, you’ll no doubt want to shoot — and probably share — lots of video.